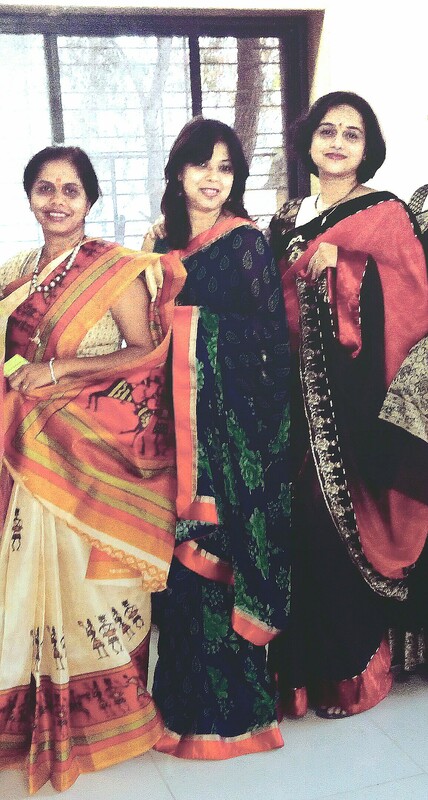 100sareepact | Some girl time ! #19. Some girl time this afternoon was a refreshing one after a hectic week! Had to attend a ‘haldi kumkum’ at a friend’s place – what else to wear but a Saree:-) Picked up a chiffon floral print. Some girly talk , giggles and lots of gossip was a good medicine after a long time.